The German company Haribo is the original maker of gummy candies, introducing Gold-Bear gummy bears in 1920 in Bonn. The company has since expanded its product line to include gummy frogs, gummy fruit, gummy mice and gummy dinosaurs, which are sold in stores and online around the world. 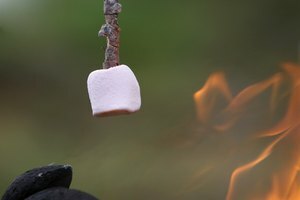 The company’s manufacturing techniques have changed through the years, but the principle ingredients for this yummy candy remain the same. Cornstarch comes from the heart of the corn kernel and is a traditional thickening agent. During Haribo’s production process, cornstarch prevents gummy candy from sticking to the candy molds. Used since the beginning of civilization, beeswax coats Haribo gummy candies at the end of the production process. It gives the candies shine and prevents them from sticking together in the bag. Beeswax's purpose is to protect honey in the hive. Melted beeswax and honey also create lip balms, cosmetics, soaps and candles. The leaves of Brazilian palm trees secrete carnauba wax to protect them from the harsh sun. 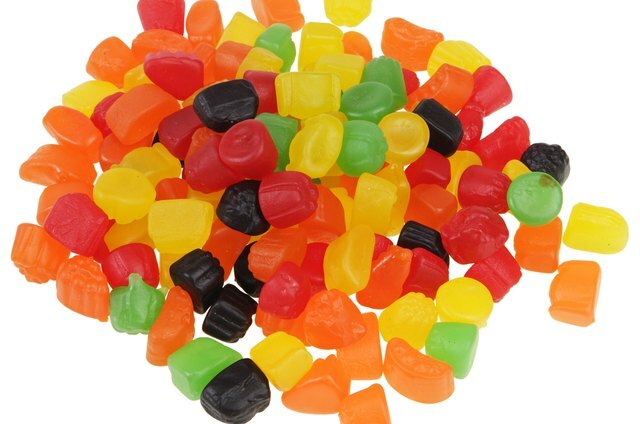 On Haribo candy, it is used as a glazing agent, giving each candy a shiny appearance..
Citric acid comes from citrus fruits and juices and can add a tart flavor to food and beverages. It’s also a preservative that ensures long shelf life for Haribo gummy candy. Fractionated coconut oil is distilled to keep only a portion of the original oil. This gives the yummy gummy a long shelf life and stability. Haribo gummy candy gets its sweet taste by combining sugar, dextrose and corn syrup—all traditional sweetening agents used in food. 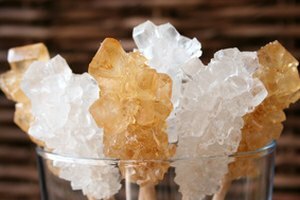 Sugar crystals come from sugar cane, while a process called hydrolysis converts cornstarch into dextrose and corn syrup. Traditional Gold-Bears are flavored pineapple, strawberry, lemon, orange and raspberry, using both natural and artificial ingredients. Another name for corn syrup, glucose syrup gives Haribo gummy candy its translucent appearance. Haribo uses combinations of FD&C (Federal Food, Drug and Cosmetics) Yellow No. 5, Red No. 40 and Blue No. 1 to create white, green, yellow, orange and red candies. FD&C colors are color additives approved by the Food and Drug Administration for use in foods.